Railway terminals in the national capital were coming under lot of pressure as the number of trains coming to the city has risen. 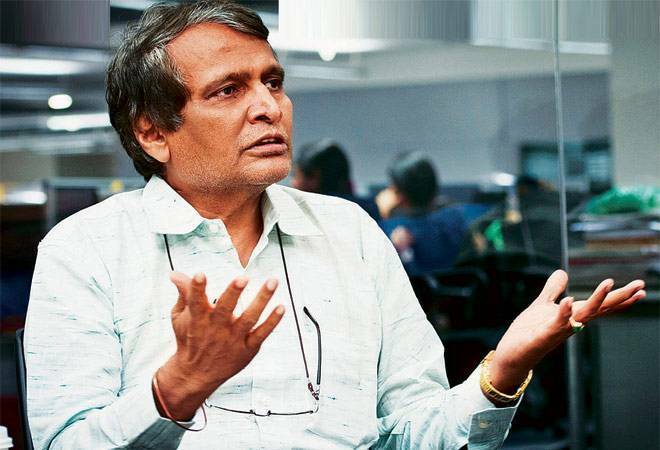 Railway Minister Suresh Prabhu on Tuesday announced, in a Northern Railways event, that a new rail terminal with world class facilities will be set up in Gurugram which will lessen the mounting pressure on New Delhi. Railway terminals in the national capital were coming under lot of pressure as the number of trains coming to the city had risen over the years. Wishing people on the occassion of Ram Navmi, Suresh Prabhu dedicated the newly-launched railway line between, Rohtak and Jind, to the people of Haryana. State Chief Minister Manohar Lal Khattar was also present at the event. The Railway Minister also informed that tenders for the new Rohtak-MehamHansi railway line would be finalised in August. "The work would be completed by the end of December 2019. Apart from this, the proposed rail coach factory in Sonipat district would be developed on PPP mode. The work on this project would be started at the earliest," he said. Earlier, during the Budget session of the Parliament, Suresh Prabhu informed the house that the execution of WiFi facility at 400 railway stations was entrusted to RailTel Corporation, a subsidiary of the Railways, without any fund allocation by the government. He also added that the free WiFi services had been provided to 50 lakh passengers at 115 railway stations across the country and the railways propose to provide such facility in running trains too later. A total of 400 railway stations will be covered in the first batch and the criterion adopted to instal the service depended upon the volume at stations. In reply to a question on provision of solar powered panels on rooftops of trains, he said the Railways have provided solar panels on rooftops of 19 narrow guage in Norther Railway and 4 broad guage non air-conditioned coaches in service for use of electrical energy generated in train lighting system on a trial basis, which would save a total of Rs 41,000 crore over a period of 10 years.